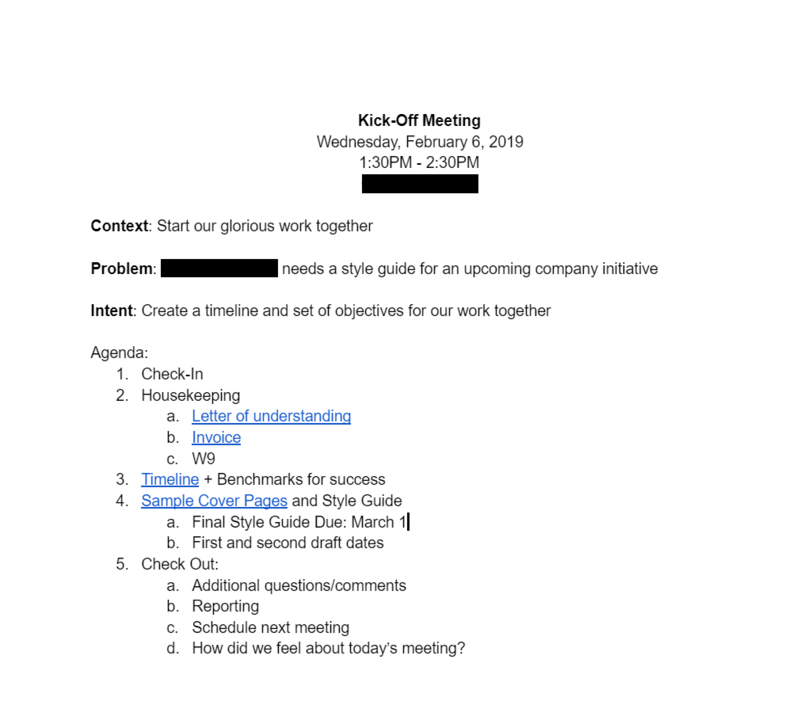 The Client Kick-Off Meeting - The Idea Inc. Solution: The client kick-off meeting. 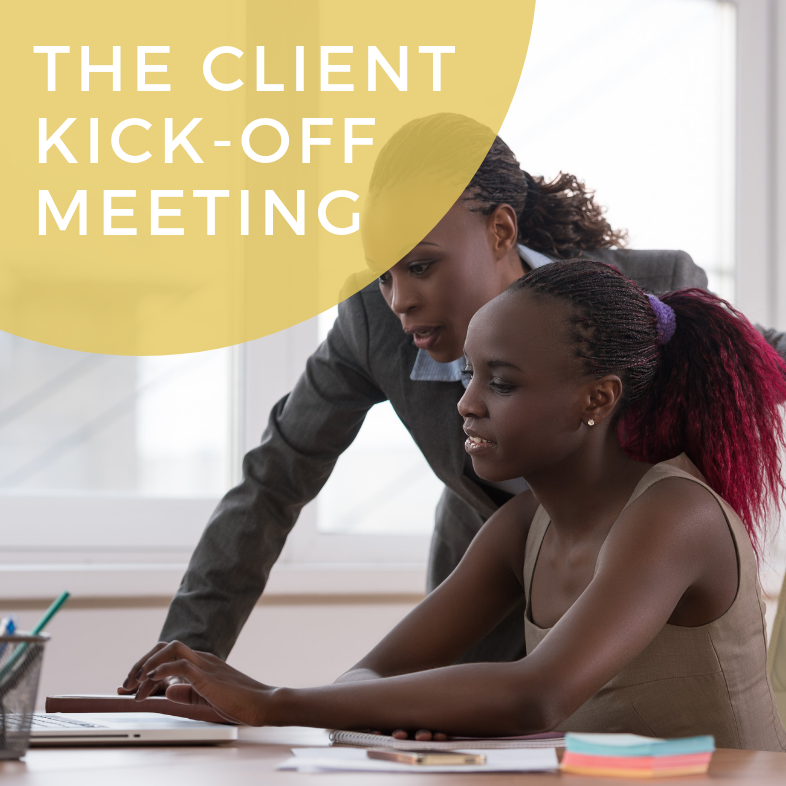 Having a client kick-off meeting can make or break the project and provides the opportunity to create goals, boundaries, purpose, roles, and deadlines. Prepare your team. Make sure everyone knows what’s what and that they are prepared with the right tools to go into the meeting prepared. For example, make sure they have a copy of the agenda. Meet in an appropriate and comfortable setting. The Idea, Inc. is more of a casual business, we meet at a local coffee shop for almost all of our kick-off meetings. However, if you need more of a formal setting, try a nice office or conference room. Establish communication patterns. How will you update each team? Who will inform the stakeholders of updates? How often will you keep in contact? What will reports need to include and look like? Lastly, answer questions, figure out next steps, and go along your merry way.